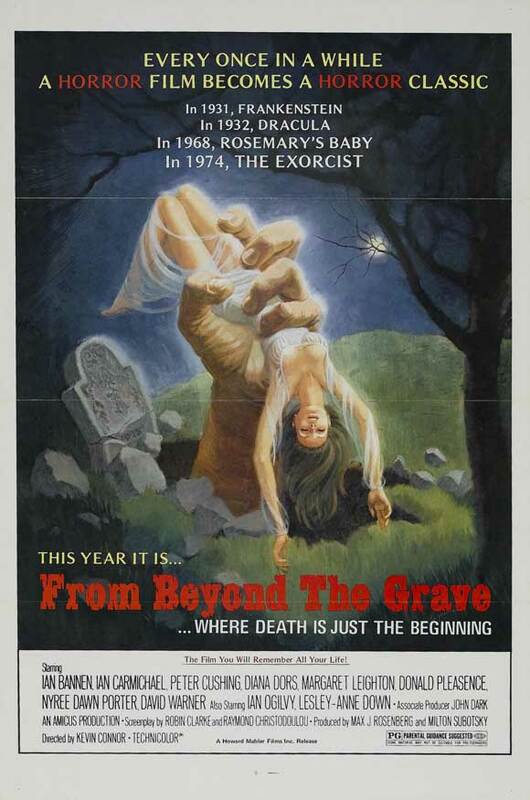 I love anthology films so it’s not a big stretch that I would enjoy Amicus’ From Beyond the Grave. 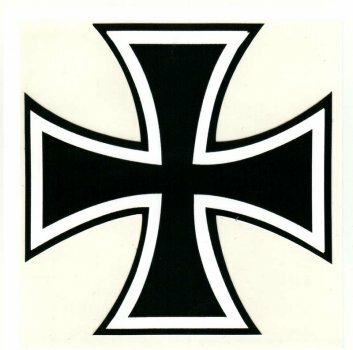 Granted I didn’t quite understand what happened in two of the stories and the way in which all four stories were connected didn’t make sense so when I give this film a 3 out of 4 iron crosses, it’s more for me than for you, cool? The movie has a lot of promise since all four stories are loosely connected to an antique shop run by an old Scottish man played by Peter Cushing. I understand what the movie was going for because each of the stories begins when its lead character visits the antique shop and purchases an item and then that item supposedly becomes the central theme of the story. However, in two cases, the item had nothing to do with the story. The other weird thing was that the stories didn’t follow the same flow; in most of these anthology films, there’s a set up and a twist. But in a couple of these, there is no twist to speak of. And in one case, the twist didn’t really make sense or I just didn’t understand it. The first tale begins when a man named Edward (David Warner) purchases an old mirror, conducts a seance and sees a weird dead guy in the mirror. He tells him to go kill people to feed his hunger for souls until he is satisfied. The set-ups and killings are cool; including several where he picks up hapless young ladies either off the street or in a dimly lit hippie club. However, the story drops the ball with the ending. The second one is the best even though it has nothing to do with the shop. The lead character played by Jim Underwood steals a military medal he didn’t earn from the shop, takes it home, meets Ian Brennon on the street and has dinner with his family, plans a voodoo killing of his annoying wife and then marries the man’s daughter. I’m not going to spoil the ending since it’s a doozy! The third one is about a man who meets a medium on a train and she tells him that he has an “elemental” on his shoulder. He can’t see it so naturally he thinks she’s crazy. But later that day his wife starts experiencing the elemental’s presence through physical attacks and soon they call the medium to exercise the elemental. It’s a neat story but the ending makes no sense at all. The last one is the silliest. William Seaton buys an antique door which he uses for his closet and the door opens another world. There he is attacked by Sir Michael Sinclair (Jack Watson), some guy with a sword. He destroys the door and world behind it. The end. I’m sorry. This was probably the most boring review you’ve ever read. Let me stress that I liked this movie because I like the atmosphere and the gothic sets in Hammer and Amicus films but I don’t recommend it to the discriminating movie watcher who cares about things making sense.